A brand new war has begun. The first shots were fired this past January 9 during the State of American Business address given by Thomas J. Donohue, President of the US Chamber of Commerce. It is a strange war — almost like a civil war where brother battles brother and fathers and sons are at each others’ throats. Two giants espousing many of the same basic beliefs, abiding by very similar principles, and with very similar goals are prepared to stand toe-to-toe and battle it out to the finish. 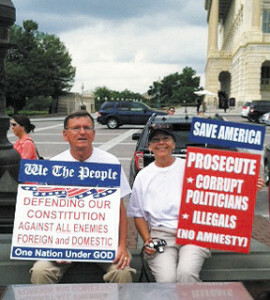 In short, the Chamber has declared war on the Tea Party. 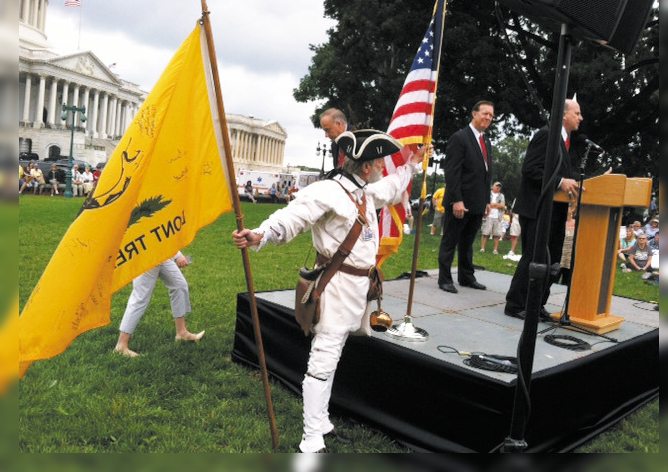 The Tea Party Patriots’ mission is to restore America’s founding principles of Fiscal Responsibility, Constitutionally Limited Government and Free Markets. Sounds like a hanging offense to me. The progressive Left has, on numerous occasions, tagged Tea Party members as terrorists, radicals, spoilers and even traitors. Anyone who has ever attended a Tea Party rally or function (and this writer has attended several) can only laugh at the Progressives’ ignorance or wonder at their duplicity. A very large percentage of the so-called Tea Baggers (our President’s inflammatory words, not mine) sport gray hair and can be identified by a lawn chair in one hand and a grandchild’s hand in the other. The grandchild is usually carrying a hand-made protest sign. You can’t tell them apart from a bunch of Florida snowbirds rushing to catch the early bird dinner special. However, based upon Britain’s 1776 definition or on the modern Progressive definition of those who disagree with them, they are indeed radicals. Why are Tea Partiers so abused and lied about by the Leftist politicians, the media, the TV talking heads, and now, even the Chamber of Commerce? I think I have figured it out. Consider this. 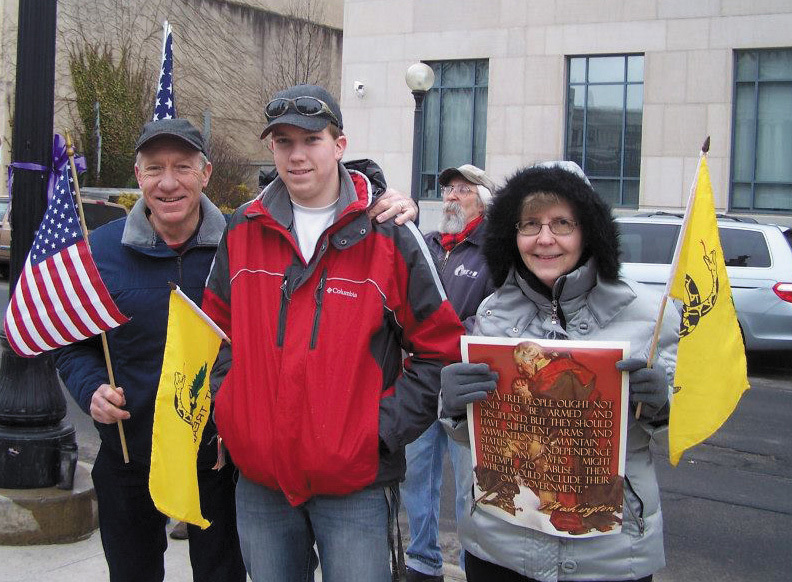 Many Tea Party proponents are old enough to have an advantage that most of the rest of us do not have: they received their education before much of our nation’s history and all of our exceptionalism disappeared down an Orwellian memory hole. They grew up, many of them, before there was a Federal Department of Education or powerful left-wing teachers unions. They were taught how to think for themselves. The mantra in those days was to disbelieve everything you heard or read, until you could verify it for yourself. That has been replaced by “my teacher told me . . . it’s in the textbook, it must be true,” or “The President said it, and he wouldn’t lie.” Education has been replaced with conditioning and it is only getting worse with time. 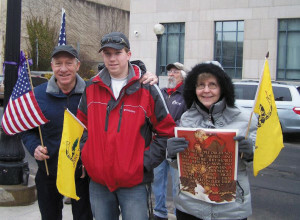 The kind of logic used by the Tea Party members cannot be tolerated by the Establishment. These members will not buy the lies the politicians feed the sheeple (you know, the people who are more akin to sheep). They know that seeking to grant 20 million low-skilled illegal aliens amnesty and a fast track to citizenship when millions of Americans are out of work is insanity, even if the Chamber of Commerce thinks it a good idea. They know that putting our health care system in the hands of the people who have bankrupted Social Security, Medicare, the Post Office, Amtrak, Freddie Mac and Sallie Mae, and everything else they have ever put their hands on is a disaster waiting to happen. They know that offering two years of unemployment benefits is counterproductive to job hunting. They know that limiting oil and coal production in a nation that has more untapped energy resources than the rest of the world combined while still buying oil from potential enemies borders on moronic. They know that printing $85 billion of new money every month with no end in sight is nothing but a hidden tax that saves Congress the trouble of passing a new tax law. They also realize that the cost of providing illegal aliens with all the benefits that most US taxpayers are not eligible for, including free health care, reduced college tuition, Spanish speaking teachers, and billions of dollars worth of other goodies is coming right out of their pockets. And let’s not forget this one: that calling Islam a religion of peace and hiring members of the Muslim Brotherhood to review our policy documents used in training our anti-terrorism forces when 99% of all terrorist attacks have been committed by Muslim men is beyond insanity. This litany could go on for hundreds of pages. 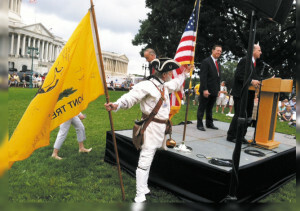 Tea Partiers recognize BS when they smell it, even if you tell them it’s perfume. This writer goes back a ways, to the days when crony capitalism (outside of the banking community, of course — that goes back forever ) was relatively rare. The bureaucracy had not reached the point where it was churning out tens of thousands of pages of regulations every year, nor was every mud puddle a wetland and every slug and worm the beneficiaries of an active and vocal advocacy. Zoning laws were mostly absent or at least reasonable, taxes were less than confiscatory and the government was not actively involved in every aspect of our lives. It was a time when the Bill of Rights was still revered and the US Chamber of Commerce was a respected champion of small business, supporting legislation that helped create jobs and that enhanced competition, thereby strengthening the economy. Since then, the lines between government and commerce have blurred. Their interests have blended until there is little difference between them. We now have a sort of fascism-lite. Congress has sold itself to the highest bidders — the ones that have the deepest pockets and who can outspend the voting citizens by a thousand to one. These lobbyists have bought and paid for the politicians who are supposed to represent us, and they want to keep it that way. There are special benefits available to those who grease the palms of the politically powerful. Any thing or any one who threatens to upset the status quo must first be be demonized and then destroyed, a tactic straight out of Saul Alinsky’s Rules for Radicals. The terms terrorist, radical, and traitor, tossed about by left-wing pundits, are the demonizing tactic while the destruction comes about by funding their opponents’ campaigns. Former Republican Senator Richard Lugar’s leadership political action committee, The 19th Star PAC, sent $5,000 on Dec. 12 to Democrat Michelle Nunn, who will face the winner of the Republican primary for Saxby Chambliss’s seat. Chambliss, a Republican, is retiring. Nunn also received a donation from another Republican, former Virginia Senator, John Warner. Lugar’s PAC has also been busy in some primary races, backing establishment Republican candidates, of course. Some might suggest this is simply more proof that many long-in-the-tooth establishment Republicans have more in common with their Democrat colleagues in Washington, D.C., than they do with the GOP’s conservative base. The above is but a single example of the treachery. It is happening all over, sometimes openly and sometimes covertly. The power brokers must stop the patriots at all cost. They threaten the special interests’ rice bowls. I’m going to give you a one-question multiple choice test. Ready? Who do you think has more money to throw at politicians? 1) You and the rest of the citizen voters; or 2) Special interests such as trade unions, federal employee organizations, insurance companies, banking associations, pharmaceutical corporations, and so on. Is the answer 1 or 2? Who do you think most of your senators and representatives listen to if they want to be reelected? It takes a person of strong character to withstand that kind of temptation, especially when resistance will make you a pariah to the media who will slander you every chance they get. That is why even the best of them, if left too long in the lions’ den will turn their coat. That is also why we have to find a way to prevent the entrenchment we see in Washington that gives us career politicians rather than public servants. Can you give me an amen? Do I hear the words term limits? Something to think about.